As I have read over the last few days about all the NBA players receiving huge guaranteed, long-term contracts, I can’t help thinking about the classic movie Butch Cassidy and the Sundance Kid. 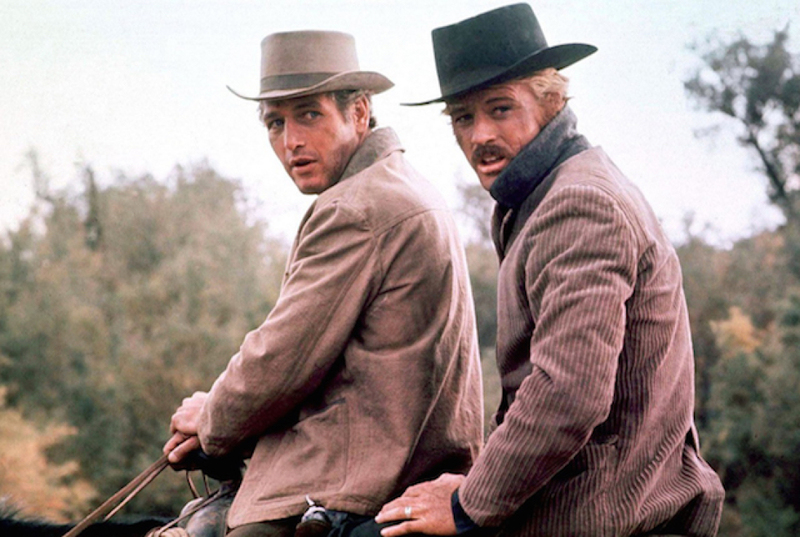 Early in the movie when Butch and Sundance are being followed by a group of horsemen, they keep asking themselves “who are those guys?” as they are unable to shake them despite making many maneuvers that typically would have knocked trackers off their trail. Obviously, a few of the players receiving eye-popping contracts are household names, like Steph Curry, Kevin Durant and Kyle Lowry, but it seems that many of the large contracts have gone to players who even regular NBA fans barely know. Tell me the truth, could you really pick Otto Porter Jr. (4 years, $106.5 million offer sheet by the Nets), Danilo Gallinari (3 years, $65 million by the Clippers) or Langston Galloway (3 years, $21 million by the Pistons) out of a lineup? Not to mention, Tim Hardaway Jr. signed a four year, $71.5 million offer sheet with the Knicks. 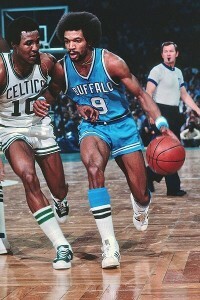 Now, in his day I could see Tim Hardaway Sr. being worth that type of money, but the young Hardaway has a career scoring average of 11 points per game, including a career-high 14.5 ppg this past season. I barely even knew he was still in the NBA. I remember in the early 1980s when new NBA Commissioner David Stern pledged that the NBA was on their way to an average salary of a million dollars (at a time when a million dollars was a lot of money). Granted that he made that claim early in the era of Bird and Magic, but still, it seemed a bit far-fetched given that the NBA was clearly number three in terms of the professional sports pecking order in the United States. Steph Curry and the Golden State Warriors are shouting out their claim for the best record in NBA history. 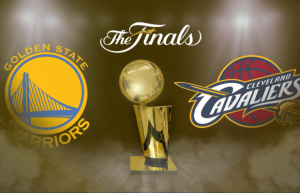 With just 19 games left in the 2015-2016 season, the defending NBA Champion Golden State Warriors are on pace to break a record many thought was unbreakable, the 72 regular season victories of the 1995-96 Chicago Bulls. If the Warriors are to hit jackpot city and break the record, they will need to win 16 of their final 19 games. Considering that they have gone 17-2 in their most recent 19 games, it is certainly within reach. After winning their first 24 games to start the season, the Warriors have endured an occasional lapse, but for the most part have been the most dominant team in the league. Though they were surprisingly stuffed last Sunday by the Los Angeles Lakers 112-95, they have rebounded with consecutive wins to get back on track. Having raised his game to MVP level a year ago, Steph Curry has been even better this year raising his scoring average from 23.8 points per game to a league best 30.4 per contest. Considering that he has sat out the fourth quarter of many blowout wins, his average might have been even higher. Providing a great second offensive punch is fifth-year forward Klay Thompson. Like Curry (son of Dell Curry), Thompson is the son of a former NBA star as his father, Mychal Thompson won two rings with the Los Angeles Lakers of the 1980s. 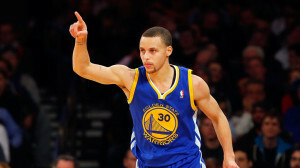 During the recent NBA All-Star Weekend, Thompson showed he could hold his own as he defeated Curry in the three-point shooting contest. He is averaging 21.8 points per game and would probably be considered the top three-point shooter in the league were it not for Curry. 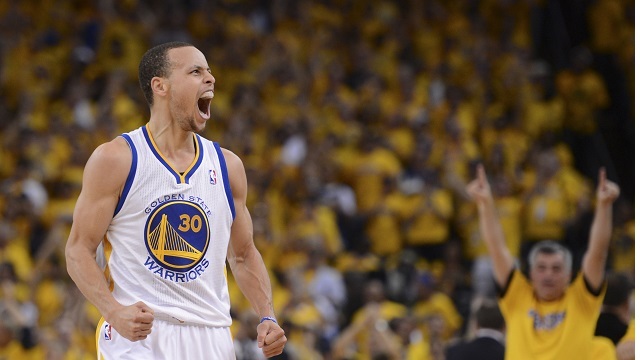 Steph Curry moved to elite status during the 2014-2015 season. The National Basketball Association is a league of slow changes. The rules don’t change much over time. The way we view the game evolve slowly. And the style of play follows this same pattern. Most players play the game with a usual amount of skill. It’s better than people in the general population, of course, but when you put all these great players in a room together, individual excellence cancels out. A player has to be truly remarkable to rise above the pack. These are the players that bring sudden change to the game. 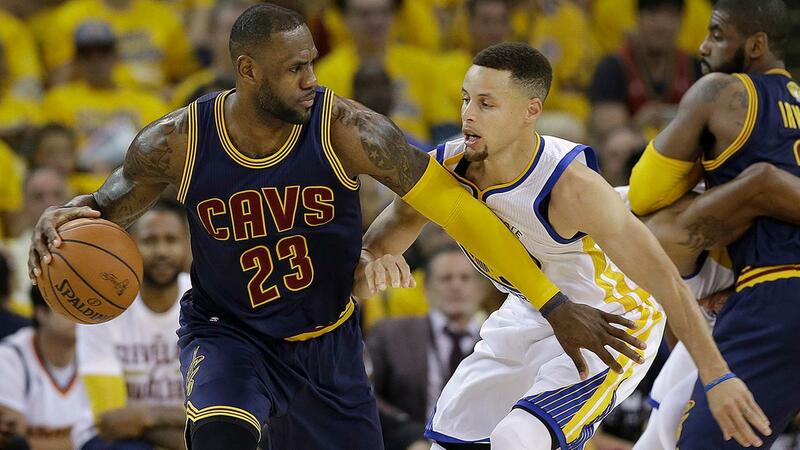 Steph Curry is one such player. Having led his team, the Golden State Warriors, to the 2015 NBA championship, Curry went from almost obscure to one of the most recognizable players in the league. This is an athlete who used to be called too short, not strong enough to hack it in the National Basketball Association. Proving those naysayers wrong took a lot of effort and personal growth. But the world took notice all at once, watching Curry sink effortless three pointers, make deft jump shots from all around the court, and achieve defensive play the envy of almost anyone else in the league. It all amounted to 29 points per game in the post season.